Please sign the petition and support journalist Amitt Bhatt's campaign to stay in the UK. Amitt is a member of the Manchester & Salford Branch of the National Union of Journalists and is seeking asylum on human rights grounds. 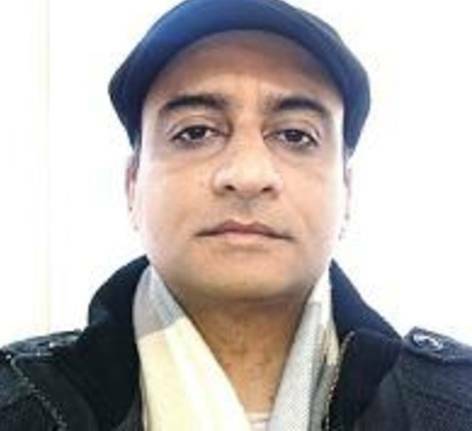 He is a Kashmiri Pandit, a native Hindu of the Kashmir valley, and has written newspaper articles and three books about human rights abuses in Kashmir - Cryashmir; Lies and Genocides of the Indian Government; and Kashmiri Pandits – Victims of Betrayal and Deception by the Indian Government. An attempt is currently being made, through a case in the Indian courts, to ban two of his books. Following the publication of his second book about Kashmir, he was arrested by the Indian police in early February 2011 and was tortured and beaten until his escape from detention in mid March 2011. After this, he went into hiding for three years, moving frequently around the country. In April 2014, he left India and claimed asylum in the UK. Amitt's wife Manjeet was also threatened because of his work and, after his disappearance in 2011, she came to the UK to seek safety. Journalists in India are routinely subjected to persecution, arrests, beatings and even murder. In February this year, the International Federation of Journalists (IFJ), the National Union of Journalists in India (NUJI), and the Indian Journalists' Union (IJU) deplored the latest brutal murder of a journalist in the country. The IFJ has joined the Indian journalists' unions in demanding urgent action from their government to ensure that India does not become “a killing field of journalists”.